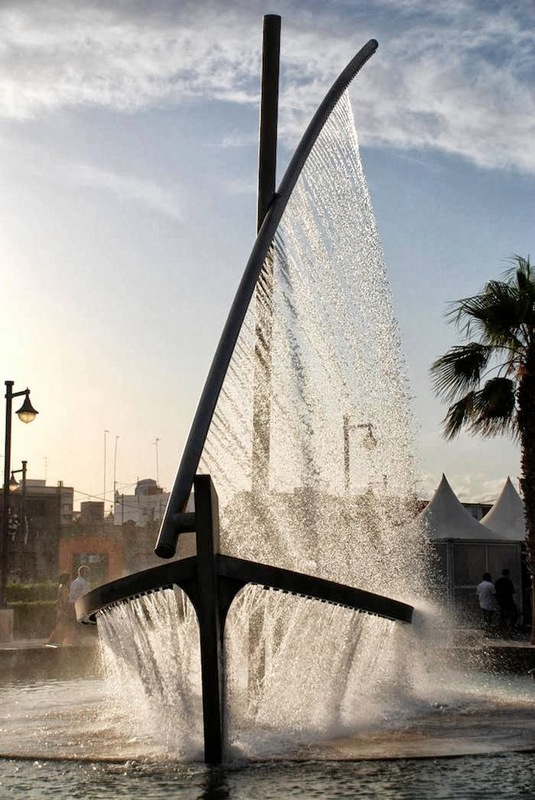 but it is in fact a cleverly designed fountain sprinkling water out of its man-made pores. 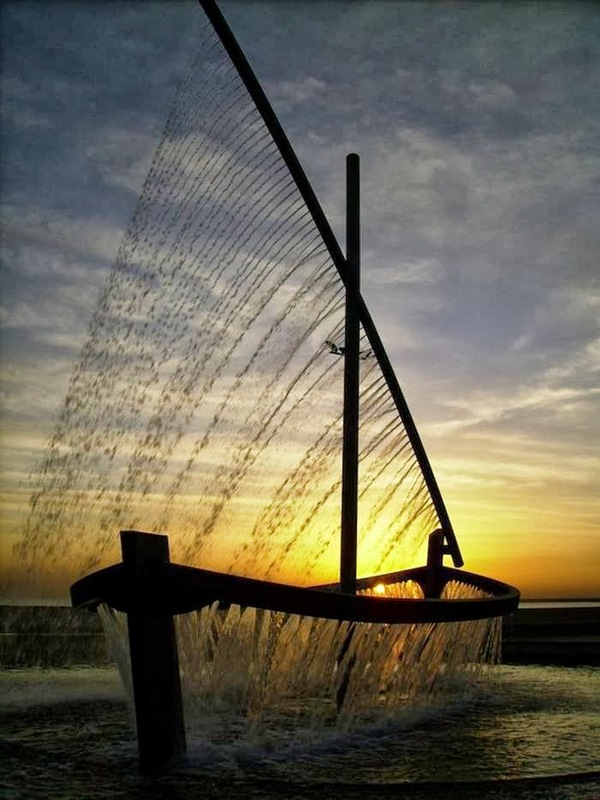 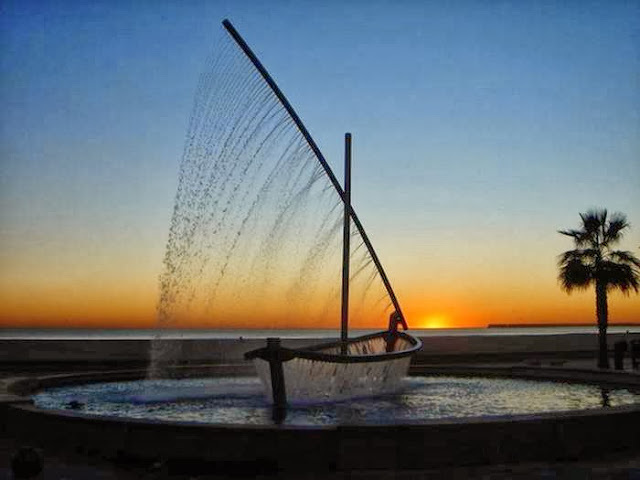 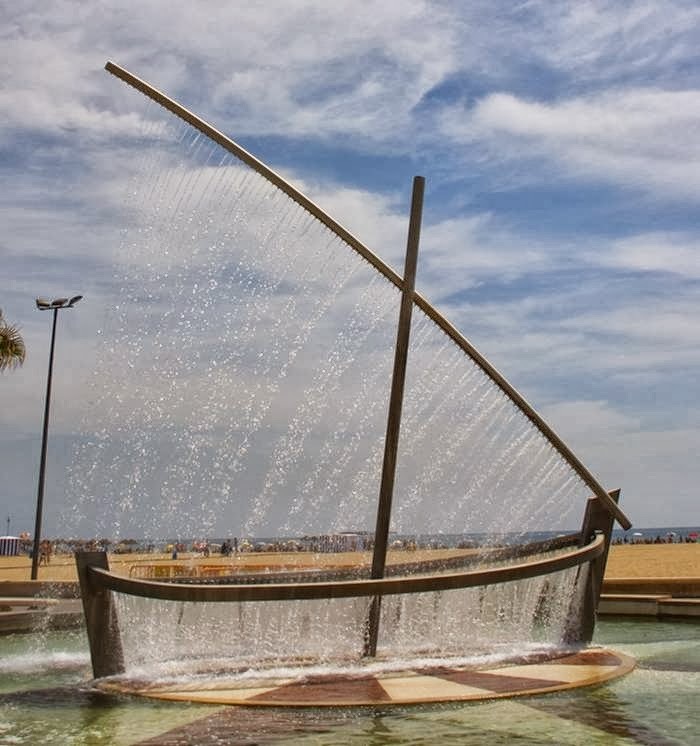 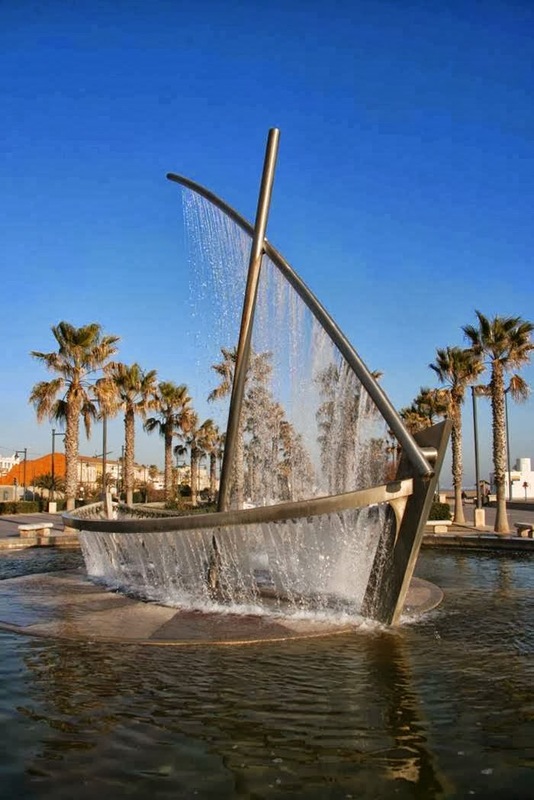 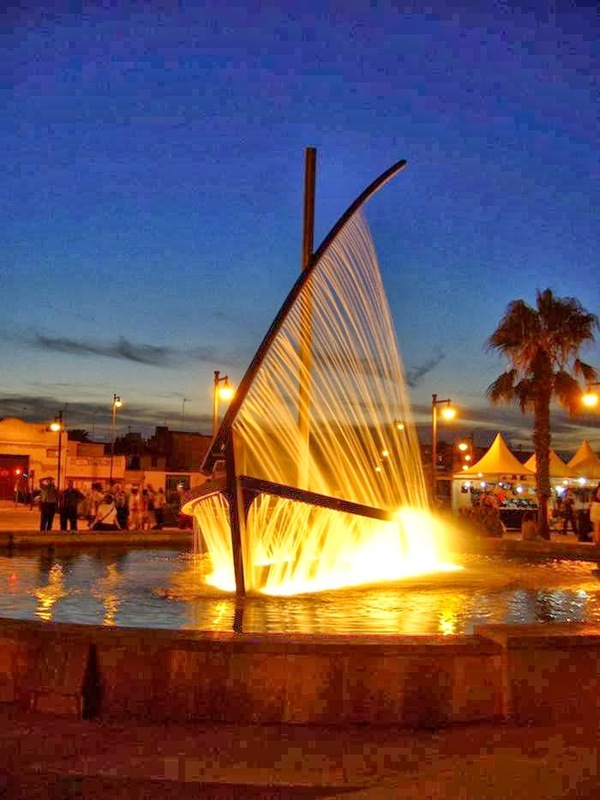 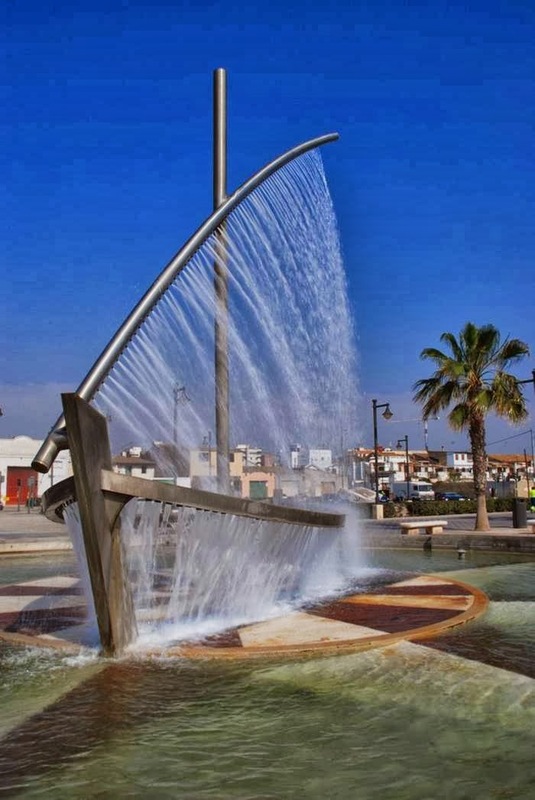 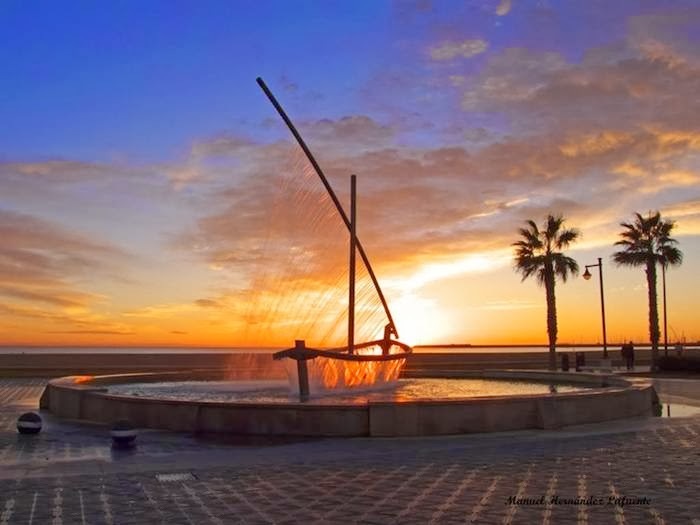 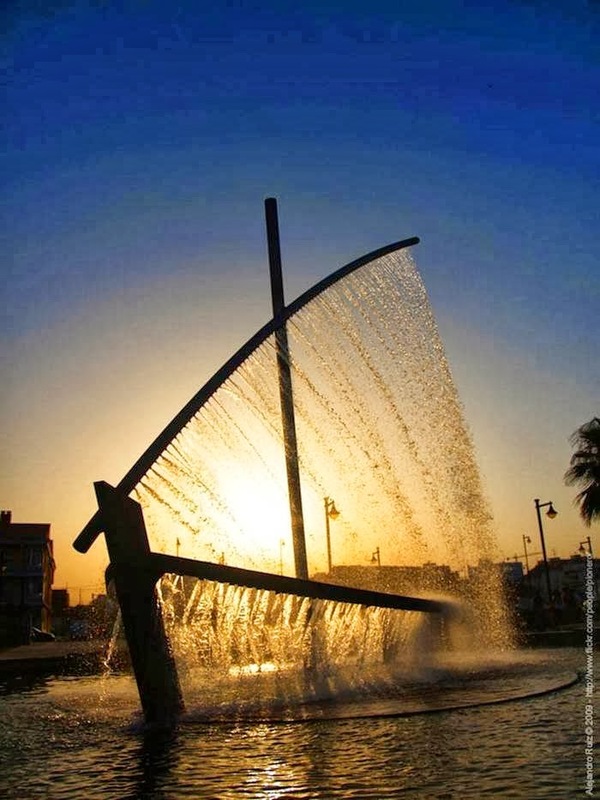 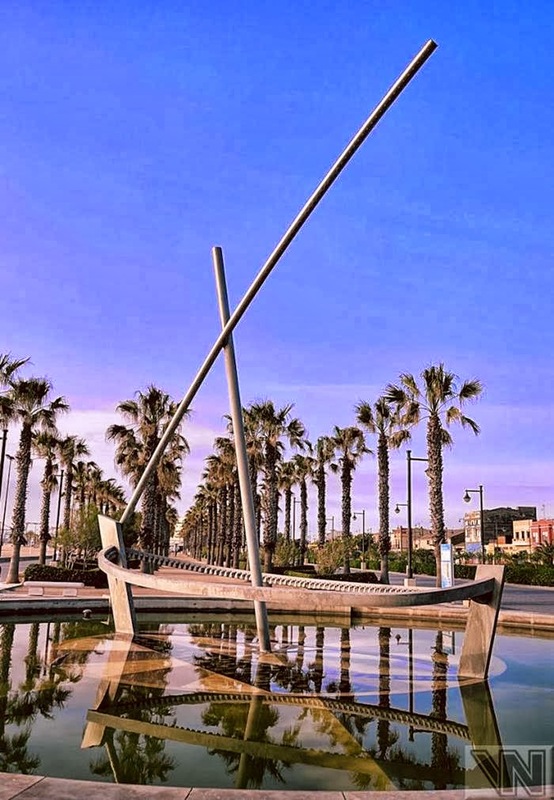 Located at Playa de la Malvarrosa in Valencia, Spain and known simply as Water Boat Fountain (or Fuente del Barco de Agua in Spanish) by visitors and locals alike, the sculptural fountain creates the illusion of both the hull and the sail of a boat with liquid jets. 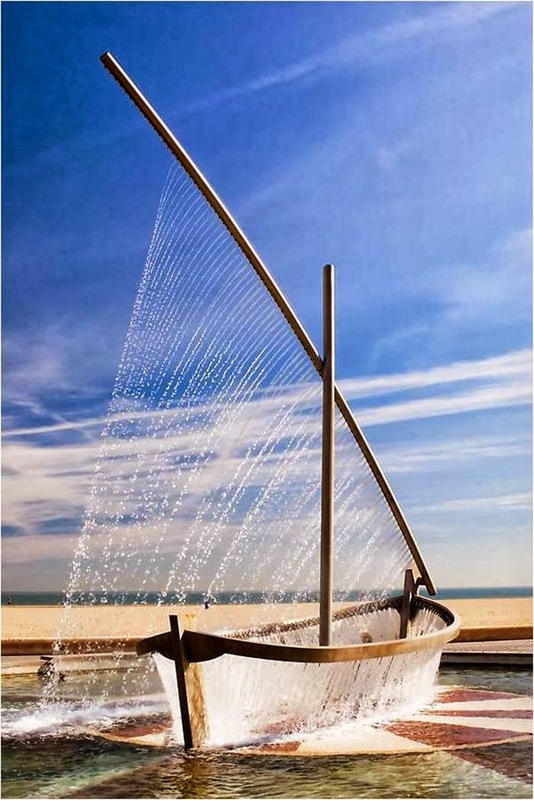 One is left baffled by its simple design mimicking the appearance of a sailboat with nothing more than a few rods spraying fine streams of water.